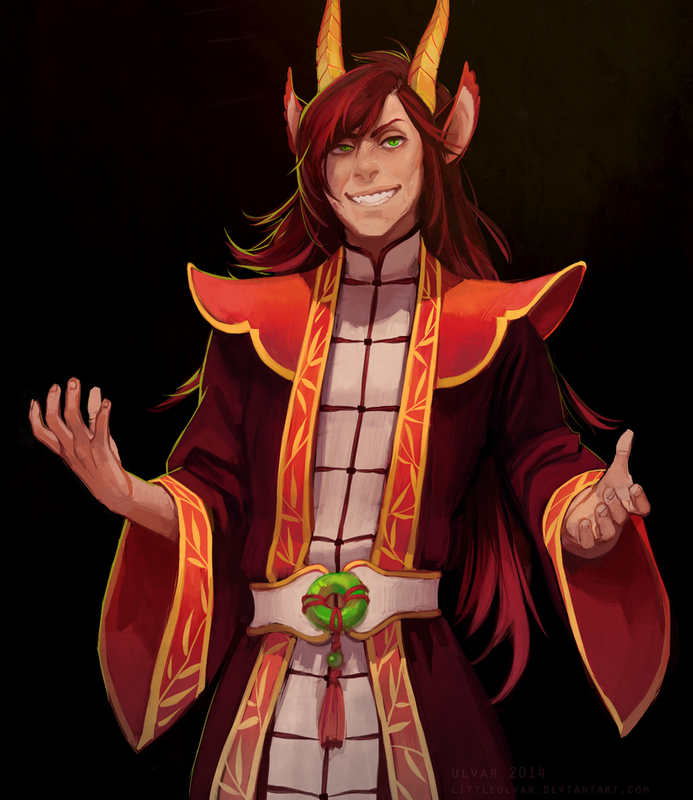 Description The wizard Abracadamus hid the Forever Stone in the darkest depths of a failing mine, coerced monsters into serving as guardians, and rigged the dungeon with traps galore. Then he died, as all good wizards do. Many heroes have fallen prey to the Forever Stone’s lure of immortality. To date, only one stalwart band has plunged into the Mines of Madness and lived to tell the tale. You think you’re better than them? You think you got what it takes to grab life by the stones and conquer the dungeon that won the 2012 Gygaxian Award* for Bonecrushing Awesomeness? I seriously doubt it, but go ahead . . . prove me wrong! Mines of Madness is a Very Special D&D Adventure written for PAX East 2013 and designed for four 3rd-level characters. The rules are D&D 5e. This is a short, one-time dungeon crawl with no big story arcs. It's just for fun (at least it will be for me). There will be lots of fighting and puzzles and danger. Not a lot of Role Playing (RP) is needed, but having an interesting character will make it more fun. The goal is just to make it out alive (which you probably won't). If there is enough interest, I will take multiple groups through the adventure (one at a time) and make it a scored competition among groups to see who can do the best. This is a published adventure that I am using. I make no claims that any of the material is original or of my own creation. That begin said, please do not read anything about the adventure ahead of time so you don't spoil the fun for yourself or others. About the DM I've been DM'ing D&D 5e since it came out and I've been playing on RPGX since early 2015. D&D 5e is the only DM/TRPG experience I know, but I know it well. Character Creation Please submit only 1 application per user. Below is a code form to copy and paste for your submission. Please use it for your application. All players will also need to complete a Character Sheet on RPGX. Stats: Pick one method and stick to it. Roll - 4d6, drop the lowest. Do this 6 times to get your six ability scores (3-18) and then assign them as you wish. If you don't like your set of 6 scores, you can re-roll them as many times as you want. BUT...once you start a new set, you cannot go back to an old set. You must use the last set you rolled. And you must completely roll each set of 6 - you can't roll until you get an 18 and then start your set from there. Be honest to keep it fair. Starting Equipment: Take the standard equipment for your Class & Background - or use the Starting Wealth by Class table in the PHB to buy all your equipment. In addition to one of these options, you have gathered an additional 100 GP at this point in your adventuring career to spend as you wish. Appearance: Fill in the physical characteristics and add an image to your Character Sheet. XP: Experience will be awarded at the end of the module (if you survive) for your own self-esteem. PCs will not be able to level up during game play. Other Information Everyone should be familiar with the rules for 5e. I don't mind helping newcomers learn how to play 5e, but I expect that you have read and are familiar with rules. If you don't own a PHB, you should at least have a copy of the free basic rules here or here. I can keep the game moving as fast as needed. Players should be able to post at least twice a week. Not a lot of role playing is needed (but welcomed if you want) and the whole adventure will take place on a grid map. So posts do not need to be long, but they may need to be more frequent. Selection If possible, I will take multiple groups but only one at a time. The applications selected will be based solely on following the rules for submission and having a completed Character Sheet. Since it will be a 'short' adventure, I want everyone to have a chance to play. Groups of 4 PCs will be randomly selected. I will post the groups after the deadline. If you're not in the first group, I'll PM you when it's your turn. I will continue to take applications until the last group is finished. Feel free to apply to be included in a later group. Anyone will be accepted. Ideal: Redemption. There's a spark of good in everyone. Bond: Someone I loved died because of a mistake I made. That will never happen again. Flaw: When I see something valuable, I can't think about anything but how to steal it. Hook: Having overheard what he believes to be a grossly exaggerated tale in a tavern, Mentarn decides he must find out for himself. The Forever Stone is sure to fetch a pretty price, and may just be enough to cover his previous debts. Extra Info Hey, character sheet isn't quite complete, but I'll wait to see if my application is approved before I add in all the items I'm carrying and decide whether or not to spend my gold. Let me know if you want anything adjusted. Personality Trait: I'm driven by a wanderlust that led me away from home (technically already destroyed). Ideal: Glory. I must earn glory in battle, for myself and my clan. Bond: I am the last of my tribe, and it's up to me to ensure their (especially mine) names enter legend. Flaw: Don't expect me to save those who can't save themselves. It's nature's way that the strong thrive and the weak perish. 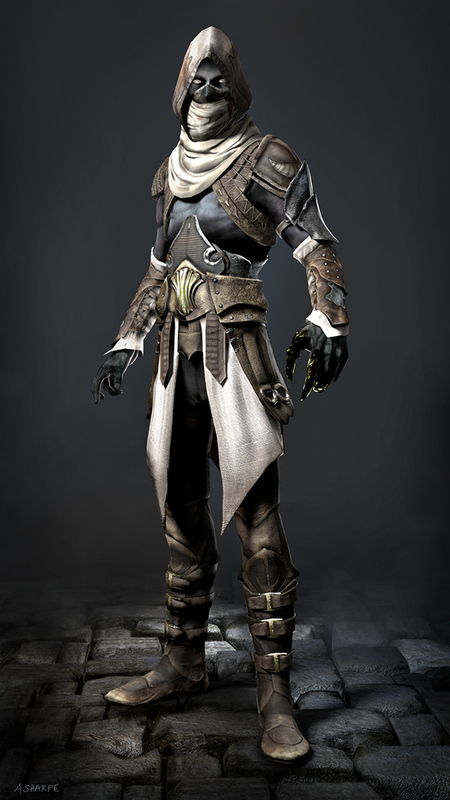 Hook: Lorik enjoys any opportunity to gain treasure, even at a risk, especially at the risk of battle. Note: I am not a super experienced D&D player nor do I have any experience playing the pbp format, though I am familiar with the rules and own a PHB. HP was taken as average, I took standard attribute scores, and I rolled for gold (150). If I need to get rid of the 150 and post a dice roll I can, just wanted to buy gear before posting. Thanks! Last edited by Manithro; 01-18-2016 at 05:29 PM. Basically I would love a one-shot dungeon crawl but can't start in February! So if that would be fine by you, Bruno, I'll put in a app. Thanks for the apps so far, everyone! Basically, everyone's application will be approved as long as it's completed. You can wait to complete the Character Sheet until your group is ready to go, if you want. As long as I have a link to it, I can get my end organized. @Noupatris...I'll make sure you're not in the first group. 1. I'm always picking things up, absently fiddling with them, and sometimes accidentally breaking them. 2. I was, in fact, raised by wolves. Ideal: The natural world is more important than all the constructs of civilization. Flaw: I overlook obvious solutions in favor of complicated ones. A nightcap that, when worn, gives you pleasant dreams. Hook: Roonie was left in awe as he watched his first true friend rise yet again and again from the grips of death in a previous campaign. He'd since heard tales of a stone that would give him such powers, and he had to have it. He didn't know where Skrak was now, but after he found this stone, he'd spend lifetimes to find him again. Last edited by epelj1; 01-21-2016 at 12:08 PM. So is this like SAW or Cube, or is it just like the sewers in the Hunger Games? Posting interest/placeholder. Will update with specifics as soon as I look over a few details. Personality Trait: "I always have a plan for what to do for when things go wrong." Ideal: "I'm loyal to my friends, not to any ideals, and everyone else can take a trip down the Styx for all I care." Bond: "Someone I loved died because of a mistake I made. That will never happen again." Flaw: "When I see something valuable, I can't think of anything but how to steal it." Hook: Soveliss once lived a life of crime, belonging to a local thieves' guild near his hometown. During one job, the operation was compromised and a lapse in judgement resulted in the death of his partner, as well as his own capture. Upon his release after serving his sentence, he began to travel, leaving behind his old ways and finding a way to help others in an attempt to make up for his own shortcomings. He hopes that be finding the Forever Stone and achieving immortality, he may be able to live long enough to find redemption. Last edited by Sergeant Slobber; 01-18-2016 at 07:02 PM. A one shot sounds fun. Interest marker. Personality Trait: I am extremely self-reliant and hate asking others for help. I am quick on my feet and with my tongue, both of which can get me into trouble. I am used to hard living and having the odds against me. Ideal: I adventure solely to become rich and to never have to live in the streets ever again. Bond: I have a soft spot for other urchins and those who live poorly, and can be surprisingly charitable. Flaw: The only person I trust is Alric, and I'm always waiting for the other shoe to drop. Hook: Alric is less interested in immortality and more interested in the kind of price the Forever Stone can fetch to the right buyer. Immortality must bring quite a price to the table. Alric is a short, stocky male dwarf with shaggy greasy black hair and a full black beard. He has piercing gray eyes and his skin is surprisingly pale for a dwarf. Both of his arms are heavily tattooed in dwarven runes and around his wrists he wears plain black leather bands. He is dressed in a suit of dull black leather armor, under which he wears what looks like a dark brown vest and leggings. 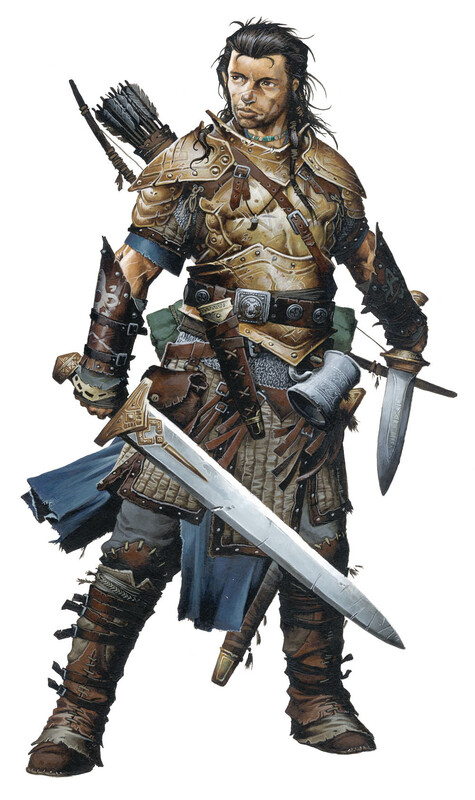 A pair of daggers is tucked into his belt, and on his right side is sheathed a rapier. He wears a backpack on his back which has rope and a quiver tied to it, and a shortbow tucked into a large side pocket. His voice is deep and gravelly, and his body language shows he has no interest in associating with most people. Last edited by Sendor; 01-18-2016 at 08:22 PM. It's not a horror type of adventure, if that's what you're asking. It's just really unfair. Personality Trait: I'm used to helping out those who aren’t as smart as I am, and I patiently explain anything and everything to others. Ideal: Knowledge. The path to power and self-improvement is through knowledge. Bond: I sold my soul for knowledge. I hope to do great deeds and win it back. Hook: Varia received a cryptic clue about the forever stone in a letter from a dead colleague, and immediately became obsessed with finding the artifact. After all, what is more worth obsessing over than an ancient magical artifact locked away from the world? It has been four years, but she's finally tracked the stone to the Mines. I've heard good things about this module, and some fun stories about it on the Wizards Podcast. I don't have time for another game at the moment, but maybe keep me in mind when it comes time to start your 2nd or 3rd game through it. Go ahead and put an app in. I'll make sure you're in a later group. Ideal: People. I'm loyal to my friends, not my ideals; everyone else can take a trip down the Styx for all I care. Flaw: An innocent person is in prison for a crime that I committed. I'm okay with that. Hook: Ol' Borko knows everyone, so they say. That dude's got a finger in every pie, and has a horn up the rear of every prissy nobleman this side of the Majesty. Ain't nothing he can't arrange or obtain - doubly so, if'n ya dare him. Iunno where he is now, though. Sorry bro. Dude just hasn't the same after 'is sweetheart Mirna kicked the bucket, and nobody's seen 'im for a couple of days now. Mighta weaseled his way into that party of nutjobs looking for some rock in the mines, but it's not like I'm gonna go down there and risk my own hide just to find out. Go check yourself. Last edited by Muggins; 01-19-2016 at 10:00 PM.